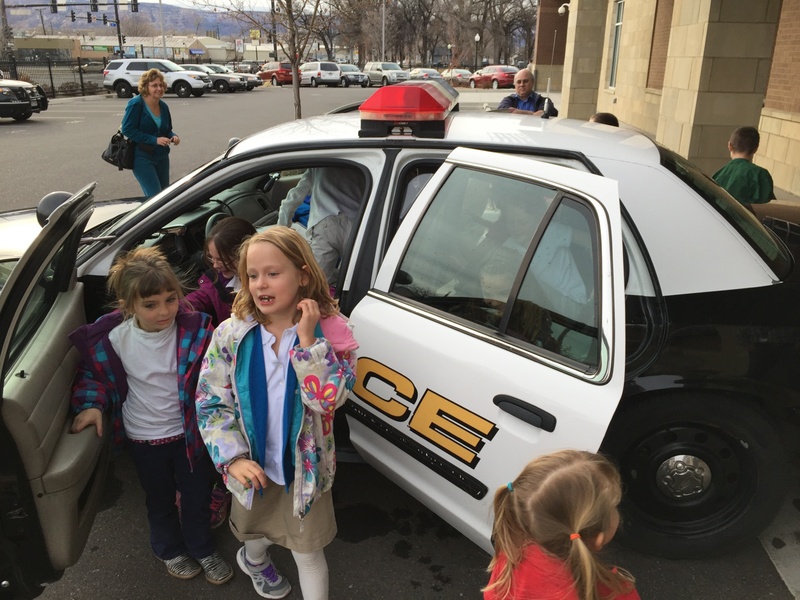 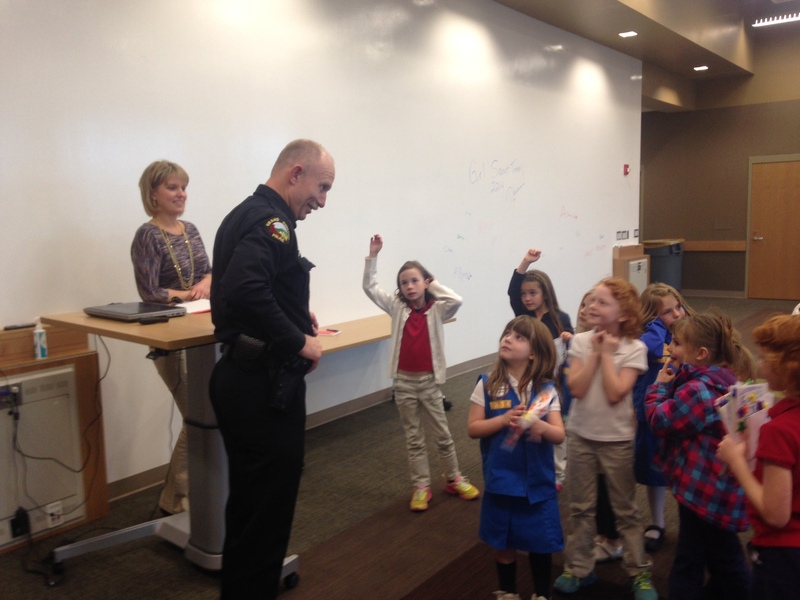 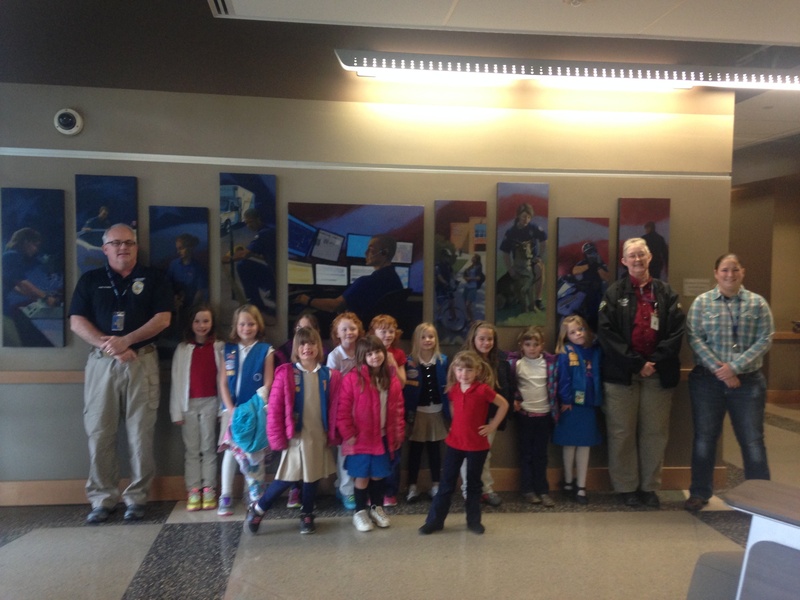 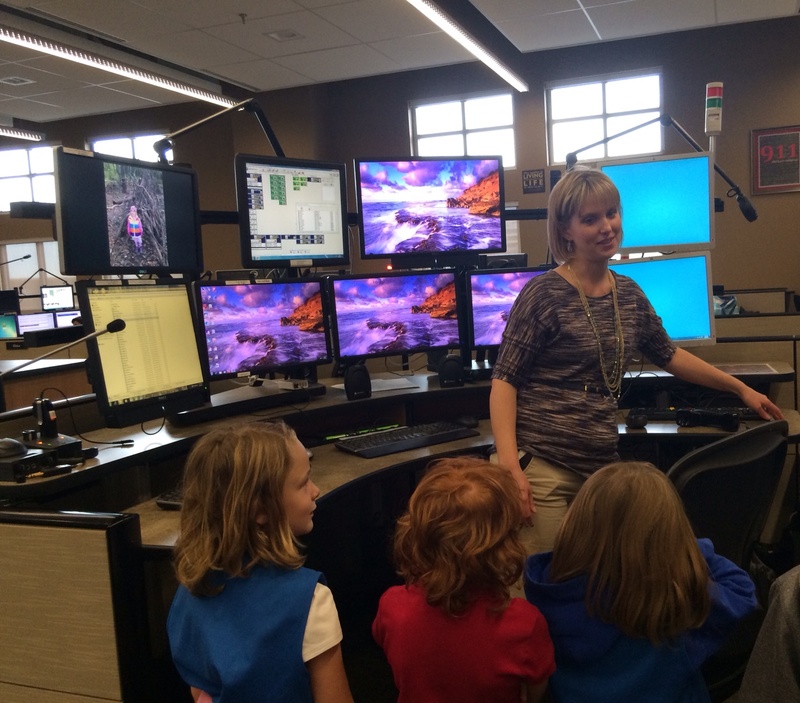 To earn the Respecting Authority petal, the Daisies toured the Grand Junction Police Department. 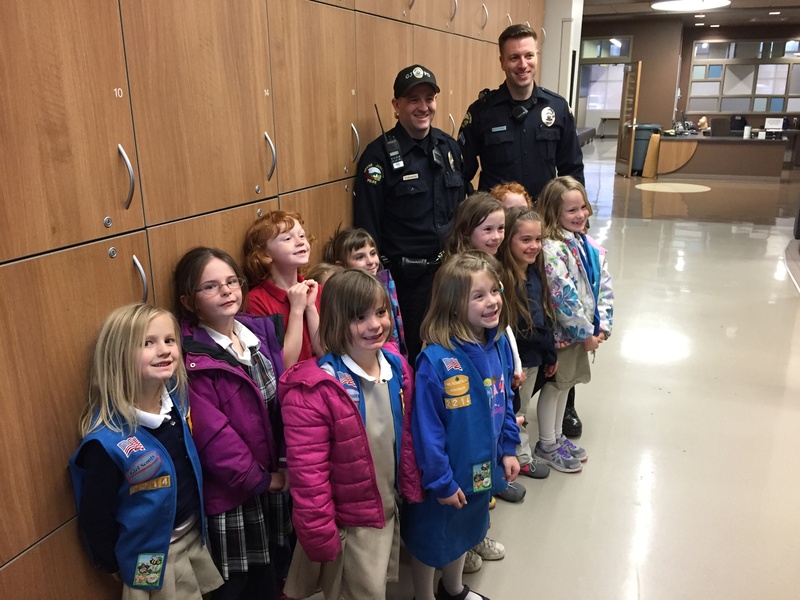 Our tour guides were Linda with volunteer services, Officer Dave, and Kate Porras, the Police Information Coordinator (who is also a Troop 2214 mom!). 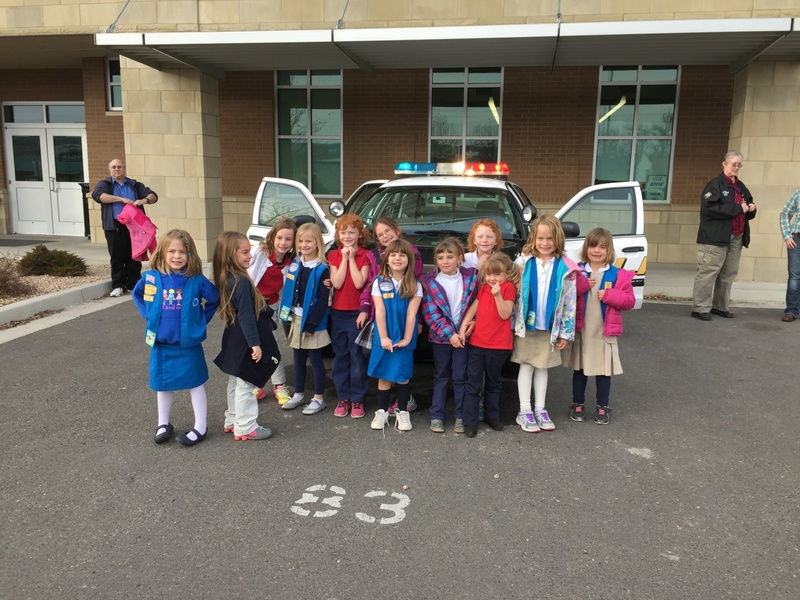 GJPD rolled out the red carpet for the Girl Scouts, and did a great job of showing/explaining all of their different departments to the girls. 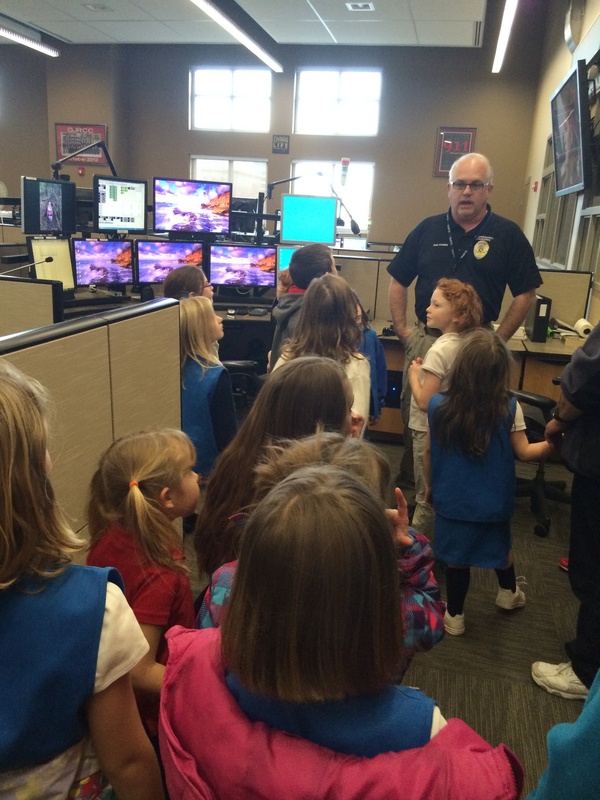 A few highlights of the tour were exploring the inside of a squad car, with a demonstration of the lights and sirens, and seeing the 911 dispatch center. 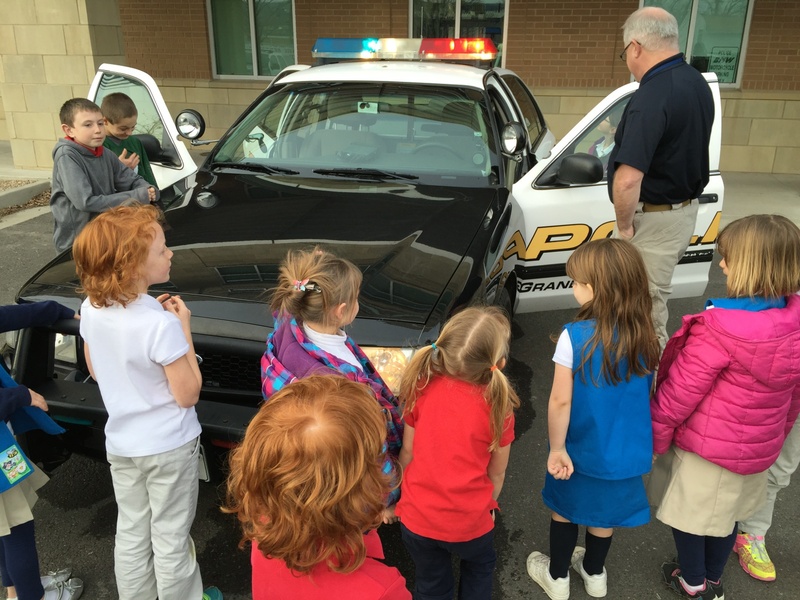 The girls met many police officers during their time at GJPD, including several who work in schools to protect students. 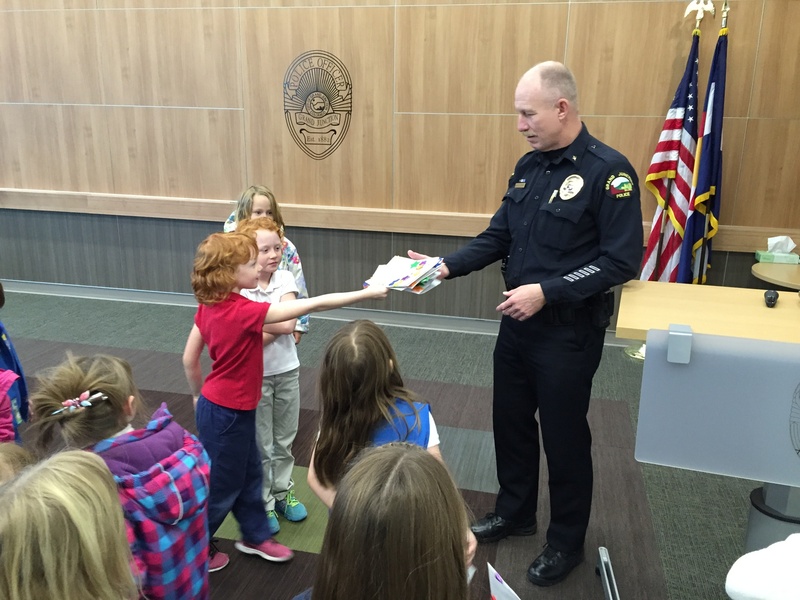 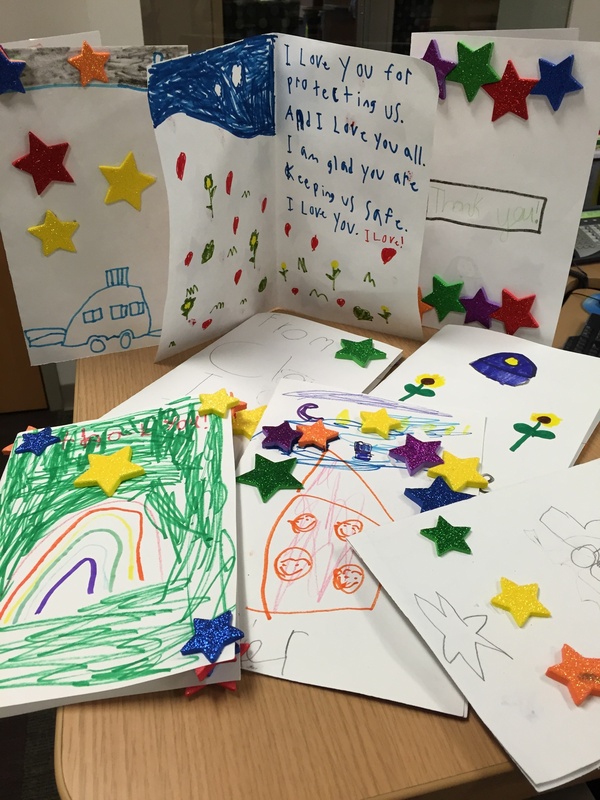 At the end of our tour, the girls presented their Thank You cards (made at the last meeting) to Deputy Chief Mike Nordine and all the friendly and helpful tour guides. 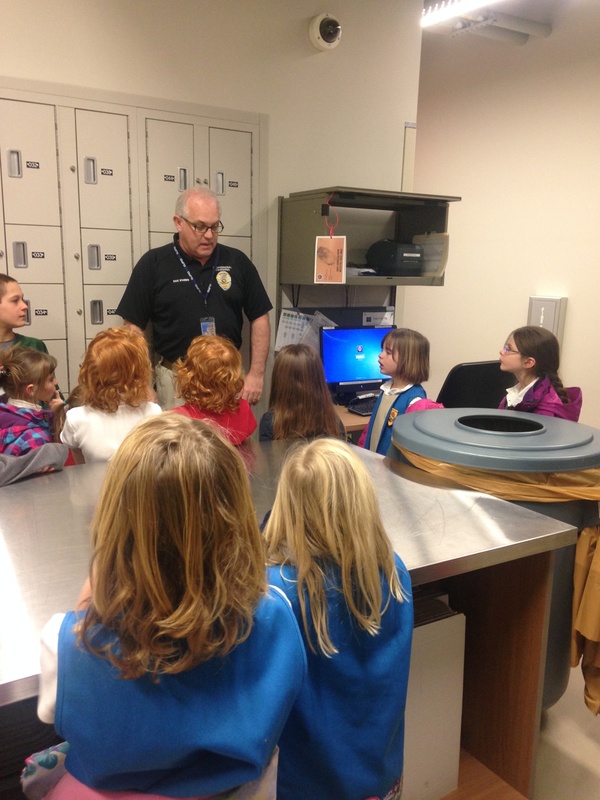 The girls learned a lot on this field trip, and enjoyed every minute of their tour.